'There is a tendency in human nature to ultimately become precisely like that which we imagine or image ourselves as being ...Imaging is positive thinking carried one step further'. We are what we think and while a positive attitude of mind can literally change your life, a negative frame of mind will ultimately destroy you. 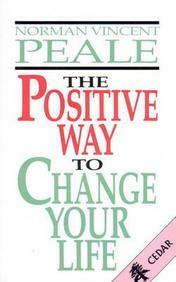 Norman Vincent Peale, one of the most inspirational writers of our time shows you how to create a positive future and explains how the practise of 'imaging' can help you to: solve your money problems; outwit worry; banish loneliness and tension; improve your health; deepen your faith and self-belief; and, relate to others more successfully.